How to Check YouTube Channel Watch Time: Hello Friend's in today's article, we are going to tell you how to check your YouTube Channel Watch Time so you can easily find out how much Watch Time Has happened. All of you must know that YouTube has issued its New Guidelines, which states that if you have 4000 Hours of Watch Time and 1,000 Subscribers on your YouTube channel, then you will not be able to monetize your YouTube channel so that First of all, you should check that how many hours of Watch Time is completed on your YouTube channel and now you should watch Hours of Hours to meet YouTube's Terms & Conditions because this is how you get this idea. Will you work hard is needed. The people who came to YouTube via email in which it was said that those who did not meet the requirement given by their latest guidelines on their channel, YouTube will stop their monetization. What many people are worried about what to do and what not to do, first make Focus only after you fulfill your Watch Time requirement for which the most important is to promote your YouTube channel and your videos as much as possible. First you login to your YouTube channel. Now if you have multiple YouTube channels, then switch to the channel you want to Watch Time. When you log in to the channel, you get an option of Video Manager in Top, so that you can check your Channel, Video Settings. You have to click on the Video Manager option. Now you have a new page open in front of which there are lots of options inside the left sidebar. In all those options, there is also an option for an Analytics which you have to click. 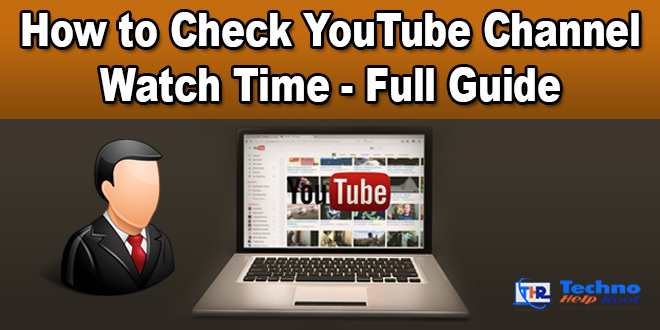 This allows Watch Time to be checked on your YouTube channel. Note: The watch time given to you in this page shows in Minutes which you have to divide by 60. Which lets you know how many hours of Watch Time has arrived so far on your YouTube channel. If you look up the page after coming into the page of Analytics, you get an option like Days, which is written like Last 28 Days, you have to click on the Date option that lets you open a list of Time. In this list, if you go down, you also get an option of 365 days, which you can click on, You can get Watch Time of 365 Days (1 Year) of your YouTube Channel. When you know the current status of your YouTube channel, it becomes easy for you to understand how much more work you need now. Now if you have any questions related to this topic then you can ask us in the Comment Box. My name is Sapan Kumar Sharma. I am a website developer / designer and I share information related to you technology. Blogging Guide, Online Make Money, Google Adsense, How to Earn Money Sitting at Home, SEO, Blogging, Design, How To Online Income.